When you're trying to one-up your neighbor's holiday decor, an authentic nativity scene on your front lawn is the least of your priorities. You want decorations that will have people driving for miles to see your home. 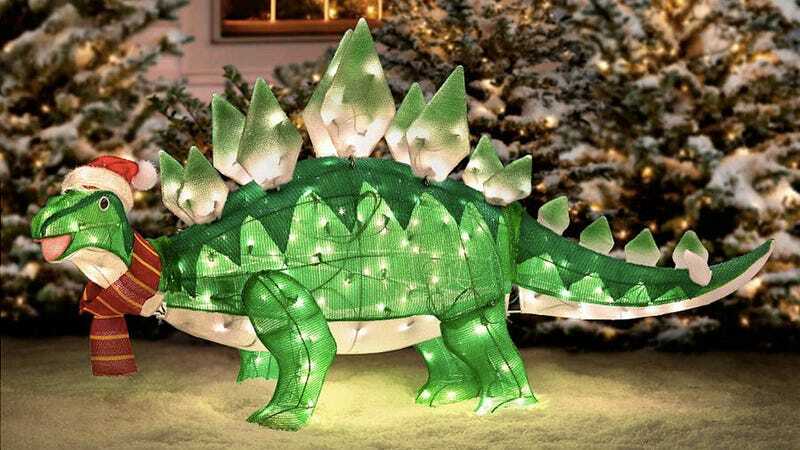 Besides, who's to say there wasn't a glowing animated stegosaurus outside the stable that night in Bethlehem?